Teflon Gaskets are an important component for a fuel cell because they work as sealing agent in the stack assembly. They work to provide the correct compression needed and act as a ‘barrier’ for potential fuel leaks; maximizing the highest possible efficiency. The proper selection of a Teflon gasket is dependent on various parameters such as the operating temperature of the cell, the thickness of the MEA, etc. Teflon and fiberglass reinforced Teflon are used in high temperature applications such as High Temperature Polymer Electrolyte Membrane Fuel Cells (HT-PEMFC) and Phosphoric Acid Fuel Cells (PAFC). 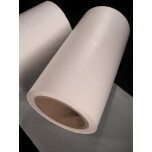 PTFE (PolyTetraFluoroEthylene) film made with Teflon® fluoropolymer will not compress under press..